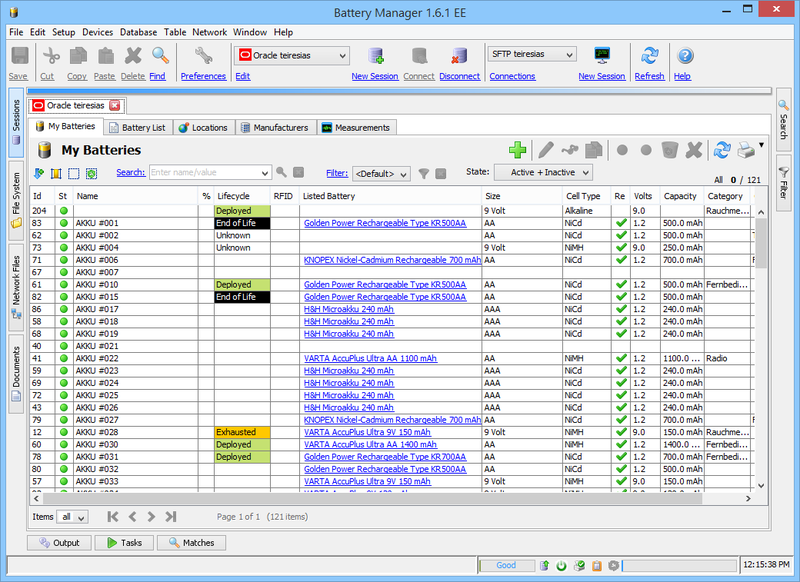 The Battery Manager software manages rechargeable and primary batteries with databases. It supports a range of charging devices connected to serial computer ports (RS-232, USB). 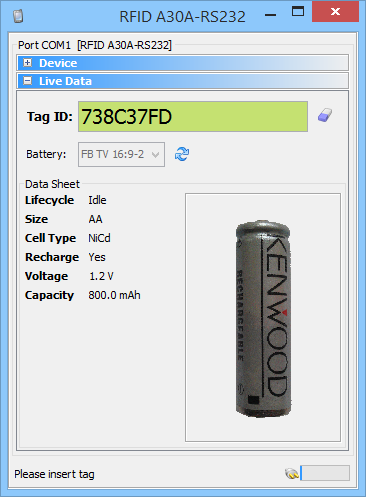 The measurement data gathered during charging can be used to plan charging optimally and for the prediction of the current state of charge of your rechargeables. With rechargeable batteries and recent charging devices you can save money for expensive disposable batteries and protect the environment by avoiding waste. Compatible with Windows, OS X, Linux, and many more systems. Protecting the environment is important to all of us: move forward now and help to reduce waste. Save money with rechargeable batteries and modern charging devices, avoid costs for disposable batteries. 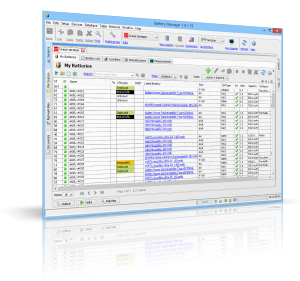 The Battery Manager software assists you to get the maximum out of your rechargeables and to use the gathered information to plan recharging in an optimal way. Save precious time and recharge multiple batteries with low charge levels simultaneously. Make sure that (rechargeable) batteries deployed at critical applications like smoke detectors are replaced in-time.